There’s literally never been a better time to pursue Federal Student Loan Forgiveness Benefits, because it’s easier than ever before to find a forgiveness, discharge or refund program that you may qualify for, especially if you’re lucky enough to live in a state that offers benefits to its residents. Whether you’re in California, Texas, New York or Nebraska, there’s a pretty good chance that even if you aren’t able to qualify for top-tier forgiveness benefit programs like the Public Service Loan Forgiveness Program, Government Employee Student Loan Forgiveness or Non-Profit Worker Student Loan Forgiveness, you’ve still got a good shot at qualifying for one of the smaller, state-based programs on offer. And while these programs may not be as lucrative as the heavy-hitting benefits packages mentioned above, there’s still a huge benefit to looking into them, because you may be able to save yourself thousands or even tens of thousands of dollars. Below, I outline the student loan forgiveness benefits available in each state of the Union, explaining what programs are available, how their eligibility rules work, and how you can apply to receive the benefits. Do make sure to keep one thing in mind; even if you don’t find a great forgiveness program available in your state, EVERYONE across the country remains eligible to take advantage of excellent student loan relief programs like the Borrower’s Defense Against Repayment Discharge Program, the Closed School Student Loan Discharge Program, and the Federal Student Loan Bankruptcy Discharge Program. Also, even if you’ve got private loans, don’t give up quite yet, as there’s never been a better time to Get Help with Private Student Loans, since there are some excellent benefits on offer, including incredible Private Student Loan Forgiveness Programs, Private Student Loan Consolidation Programs, Private Student Loan Bankruptcy Discharges and Private Student Loan Default Rehabilitation Programs. Finally, if you’re struggling to make your monthly payments and have no idea what to do with your loans, then I recommend that you pay an expert for help with handling your debt. 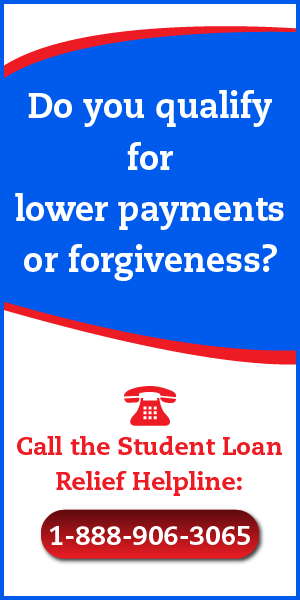 There’s only one company I trust to refer my readers to, and that’s the Student Loan Relief Helpline. 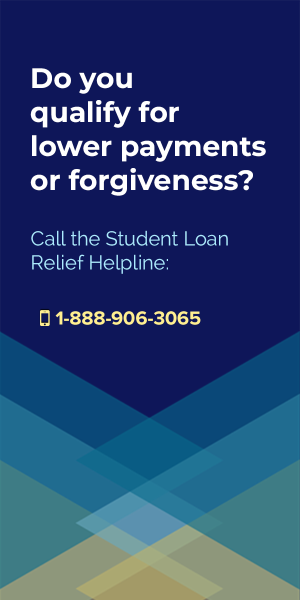 The Helpline is staffed with absolute experts in student loan forgiveness, discharges and refunds, and if anyone can help you figure out how to get rid of your loans quickly and affordably, it’s them. 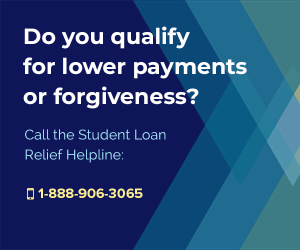 To reach the Student Loan Relief Helpline, call: 1-888-906-3065. And now, without further ado… here’s the list of student loan forgiveness programs available in each state. 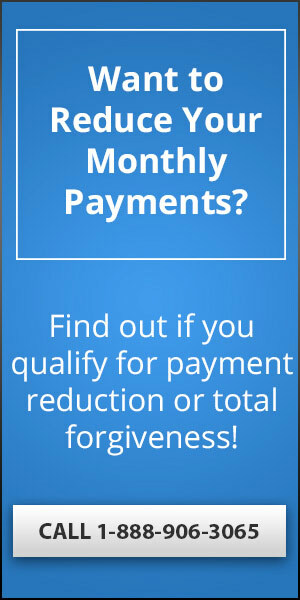 Find your state on the list below and click through the relevant links to find out about all the available forgiveness programs on offer. The Golden State offers several student loan forgiveness programs for those holding Federal loans, but doesn’t appear to offer anything of substance for private loans. For details on each of the programs available here, visit my page about Student Loan Forgiveness in California. The Sunshine State offers a few powerful student loan forgiveness programs for people buried in student debt, including excellent opportunities based on your employment. If you’re a Nurse or you work in the Legal Field, you especially need to pay attention to these opportunities. 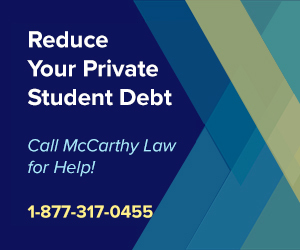 For details on the programs available here, visit my page about Student Loan Forgiveness in Florida. The Peach State only offers one forgiveness program this year, but it’s one of the best in the entire country! Unfortunately, it’s limited to Doctors and Physicians, so it won’t do you much good unless your’s an MD, but if you do end up qualifying for the benefit, you could save yourself up to $100,000. For details on the programs available here, visit my page about Student Loan Forgiveness in Georgia. The Prairie State offers several excellent student loan forgiveness programs for high-need workers, like Nurses, Attorneys, Public Defenders and Prosecutors, with some programs even providing over $20,000 in forgiveness benefits to qualifying individuals. For details on each of the programs available here, visit my page about Student Loan Forgiveness in Illinois. The Empire State has an exciting array of student loan forgiveness programs on offer, with lots of opportunity to wipe out your student loans depending on your employment, background and other characteristics. 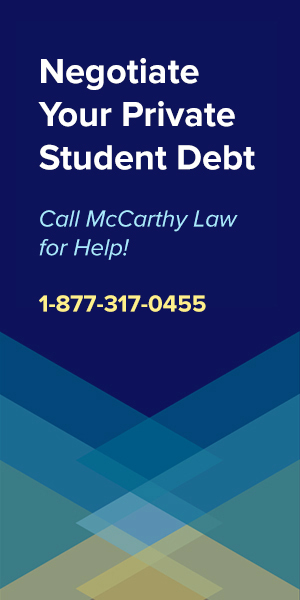 For details on each of the programs available here, visit my page about Student Loan Forgiveness in New York. The Keystone State offers a couple excellent student loan forgiveness programs, including some of the country’s best benefits for Primary Care Providers and Attorneys. 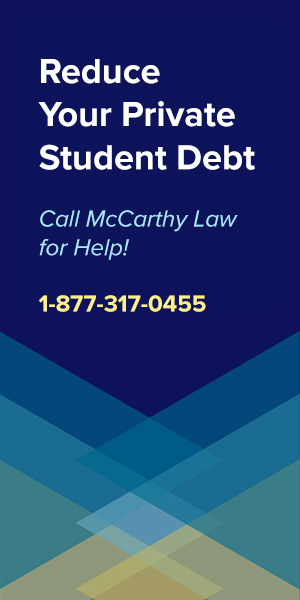 For details on each of the programs available here, please visit my page on Student Loan Forgiveness in Pennsylvania. The Lone Star State is one of the best places to qualify for student loan forgiveness, with tons of different programs offering benefits to people of certain occupations, backgrounds and needs. For details on each of the programs available here, please visit my page on Student Loan Forgiveness in Texas. Did You Find Something Useful? 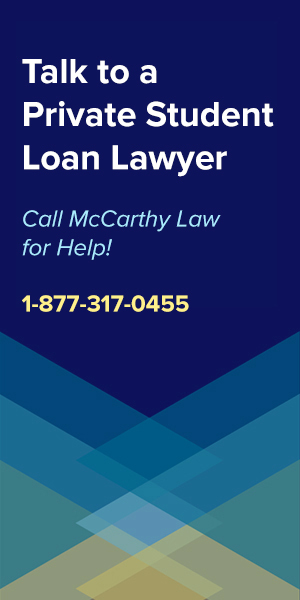 Remember, even if you aren’t able to find anything useful from your state, that doesn’t mean you’re out of luck, because there are all sorts of Federal Student Loan Relief and even Private Student Loan Relief programs available across the country. To find out if you qualify for anything else on offer, look through the pages of my site, which cover benefits packages, discharge opportunities and even refund programs in detail. In 2008-2009 I attended Spencerian College in Louisville, KY. It WAS a private college, not accredited with KSACHS, the accreditation that Independent and private colleges must be accredited with. They never told students this, they only said that they were accredited nationally. Which, they said was better because you could work anywhere in the Nation. I had applied for a single mother program that was brand new in 2008 through the Center for Women and Families and the University of Louisville. The program at the time was called the Scholar House or Project Woman. It was a program designed to help single parents with housing, childcare, and all issues that prevented single parents from finishing college. Tuition, work study programs, employment, etc. I applied to the program and was going to be accepted until they checked out Spencerians accreditation. I confronted Spencerian with this and they assured me that they were fully accredited and that KSACHS was in.the works. Also, they offered Lifetime job placement, off campus resources to help for housing, and private loans called CEF loans that would cover any expenses that Federal loans would not. I worked PT hours to pay my weekly CEF loan payments of over $78 weekly. Also, they transferred 3 or 4 of my college credits from prior College credits. The catch was that they would not HONOR the credits until I graduated. They did not tell me that when the courses i had transferred in would not count toward my GPA. Nor would I be able to take other courses in place of them when they were scheduled to be taken. Basically, every student accepted into the Associates in Allied Health Radiology Technician Program were scheduled the same courses per quarter regardless if you transferred in courses.from other colleges. Everyone in that particular program took all the courses together for the length of the program, which was 2 years. Unless you got a D in a course, which was a doubling grade, then you were 6 months behind your classmates, therefore you would be held back and graduate with the next group accepted into the next Rad Tech class. I have ADD and social anxiety disorder that prevented me from succeeding. I did wonderful in every course except the Comprehensive Exams. The comp exams grouped you with a partner and you would perform the X Ray machine hands on in front of the class. I had problems as a child fainting and throwing up when I saw blood, etc. I had not dealt with any of.these issues though since I was an adolescent and was not anticipating having any issues from the anxiety. I did not faint or throw up from the comp exams, but I would go into tunnel vision and was unable to test in front of my peers. I had talked to my professor about my disabilities and struggles as a child with social anxiety, test anxiety, along with the ADD. My professor suggested I take tutoring 3 days weekly considering I excelled in all of my Core classes and written exams in my other Rad courses. I began tutoring and had great feedback from the tutors. I still could not get over the phobia of speaking and doing my comp exams in front of peers. Also, my Rad professor would scrutinize me and make fun of me in front if my classmates to the point of me running out of the room so upset i was hyperventilating and crying frantically. The professor found me in the restroom and asked me to take a walk with her outside around the parking lot. What I believed would be a pep talk became her telling me that college isn’t for everyone. She proceeded to humiliate me and ask me if I had considered McDonalds and their management program. I am a very intelligent woman, with a photographic memory, and I had decided to finish college for a better life and future with my infant child. I had pit everything into that program.and my studies. Regardless, the fact that the degree was going to cost me $35,000 I was determined that I would graduate and get my degree and nothing was going to stop me. Even the anxiety and ADD I would find a way to get over this I thought. I was so upset that my college instructor would try to deter me from getting my college degree. The constant talking down to me and making fun and embarrassing me in front of the entire class was mentally and physically breaking me down. No one wanted me as a partner, because the constant scrutiny and demeaning comments made me so self conscious that I could not do the Comprehensive exams. I would shake and forget everything. Even though I could ace my written exams and tutoring. I then decided to go to the Dean of the Rad program and explained my disabilities to her. Her response was that my disabilities, “Did not count”. How could these disabilities not count when they are true disabling factors which were prohibiting me from succeeding. Also, I had told the Dean about 2 situations that happened that were unfair by the Rad professor. I had taken a written exam in one of the other Rad courses, part of it was on paper and in essay form and the rest was on scan trim. I had written my name on the essay test but forgot to write it on the scan tron. I was the last person to finish the exam and I turned in both parts of the test together. I had made an 85 on the total exam. But, the professor took off 15 full points off of my score to penalize me for not writhing my name on the scan tron taking my score to a 70%, D grade. This was my mid term and accounted for a huge percentage of my courses final grade. The other percentage of my written exams were a B and I had a final project which we had to label all 206 bones in the body. I had all of the answers correct. Somehow, I had managed to label the top and bottom portion of the humerus bone twice. But, I had the same answer on both sides, which was the correct answer, and the professor took off 20 full points again. Not percentage of points but full points. So between those 2 grades i received a 78% D grade which flunked me. I talked to the Dean about it and she did not give me the credit I deserved either. I sucked it up and opted to retake the course. Now I would be 6 months behind my graduating class. I ended up with the other Rad professor and aced his class. Also, I was able to turn in the same bone project and received extra credit for labeling the top and bottom portion. The next quarter I again got the professor that I had problems with. I started my Clinicals at Norton Baptist Hospital. I did a great job there. Kept up with my assignments and journals and got signed off daily. The qrtr ended and I had to turn in my Daily Journal for my final grade. Somehow, my journal i dropped in the Deans box disappeared. I asked them to run back the cameras but they would not and there was no way I could back track the entire qrtr of xrays and course work and notes i had taken so again i was flunked. I got my next qrtr schedule and 2 of the 4 courses i transferred were scheduled to be taken. I had finished the majority of my Core classes and they would not let me take other courses specific to my degree instead. I went to the Dean and explained the situation. I ws told to go see the Registrar. I bought my next qrtr books for the courses i had to take minus the ones I transferred. I assumed like other colleges my grades from my prior college would be averaged in and I would have a lesser load that qrtr. I was taking 20 hrs a qrtr on average and was in class from 8am-4pm and figured i would have a lesser load this qrtr. I had already finished over a year of coursework. The next thing I know I get called to the Registrar office and was told that I was thrown out of the Rad program over the Journal and D in the Rad program. The administrar had told me if I switched into another Degree Program that my Rad courses would be erased from my transcripts and I would be able to get a fresh start. I would have a 3.0 GPA and a chance to get back on track. I was asked to return the Rad Books and other books I had just purchased for the qrtr and they would do an even exchange for the MLT program books. I was very upset because I tried very hard and was determined to finish college and have a.good life for my son and I. I had never used the Rad books and did exactly what they told me to do. I began the MLT program and was doing really well. I had to take phlebotomy which was never mentioned when I talked to my Admissions Advisor which they knew my anxiety problems and fainting spells when I saw blood. I began the qrtr and was doing great and all the sudden things started getting weird. The phlebotomy teacher had everyone do their midterms and draw blood on our partners. I did fine. The next thing I know a surprise guest came in for us to practice drawing blood on. It happened to be my boss at Spencerian. Well if you push the cotton ball down prior to removing the needle then it causes scratching. All the sudden I was removed from the class after that. Even though I had been told i did great on my mid term just 2 days prior. And I.had dropped pharmacology because I no longer needed the course with MLT. I did good in every thing else. Also, I had a complaint that I had tremors. I also have Graves Disease which is an excessive overactive thyroid disease. One of the side effects is tremors and extreme lethargy, as well as, very thin and brain fog. The next day after I had scratched my boss i was pulled from class during an exam in Dev Psych and drug screened in the bathroom at Spencerian. I was humiliated. I had already told Spencerian I was on medications from my disabilities. The medications i had been prescribed showed up in my system and I was sent to a lab down the street to confirm the medications. Also, a phone call was made to my mother and told her I was acting strange and sitting in my car earlier that day instead of going to class. My class prior to Psych was cancelled and I stayed in the parking lot and studied for my upcoming psych exam. I was over 32yrs old at the time and paying my own education so why my mother was called was extremely upsetting for me. No one asked me why I was in my car studying. I didn’t understand why it was an issue. I had another class and had to work there for a few hours afterwards. Like I mentioned I worked for Spencerian College to pay my CEF loans. Considering I was a single mom i got a very small grant, plus had to take out federal loans; subsidized and unsubsidized loans. I was Expelled from Spencerian due to dripping below FT status and my GPA. Which I had explained i transferred in courses that should have averaged in to my total hours. Considering I was unable to take other courses for the ones I transferred in I was not given any other options. As well as, I was promised a new start without the Rad Courses and my GPA was a 3.0. I did resign paperwork for the MLT program but I am unsure if they put it in writing about removing the Rad Classes. Also, Spencerian handled all financial aid, loans, money owed, transferred courses, schedules per qrtr, transcripts, discounts, books, reimbursements, balances, and everything concerning the programs there. The next thing I know I get a letter stating my loans for the coming up June qrtr in 2009 were suspended for falling below Full time status and GPA falling below a 1.67% or something. I did not know i could appeal it and was told I had a $600 balance for books which were supposed to be covered by the CEF loans. They never took off the balance for the Rad books I returned unused and substituted them for the MLT program. Also, they never removed the Rad courses. They had printed me out a paper without the D’s from the Rad program and I had a 3.0. But, after they expelled me on wrongful grounds they denied their promises to alleviate the D’s from the Rad program, and had drawn up an unofficial transcript for the upcoming qrtr starting the new program, new admission paperwork with an estimated GPA of a 3.0, the courses i needed for the MLT program and the promissory note,.as well as, amount program would cost. In 2012 is the first time I received correspondence from Navient saying I was in.default for my loans. I never even knew my loans were separate from KHEAA. I have had student loans from LCC since 1991-92, 92-93, & etc and never been in default. I have always taken care of my student loans. Either paying for them or if I couldn’t then getting a forbearance or deferment. 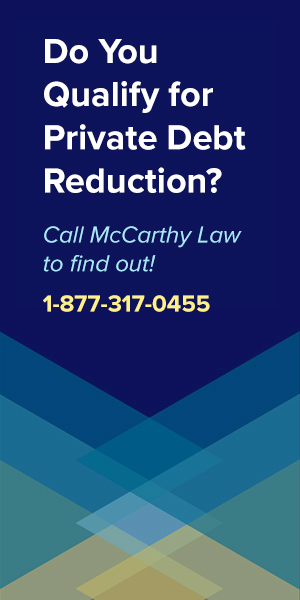 Navient took my $8800 tax refund causing me to become evicted, homeless, and a judgement against me for non payment of rent. I lost everything. I had just had my 3rd child and appealed the decision and it took them months to send me back $800 knowing I was losing my home with 3 kids one being a newborn. I lost my job because I had no home, my car broke down, and they would not even refund enough money to pay rent plus fees. Also, I had found out i had thyroid cancer during the same timeframe. Spencerian finally had told the collection agency that they termed me on wrongful grounds. Also, none of the money taken from Navient went toward the CEF loan. Also I never saw a decrease in the amount of money I owed for my loans. So where did the money go? And I could never finish up the degree because of some $600 i supposedly owed for books. That were included in the CEF loan. They really mentally and physically broke me down. And it is inhumane. And now that Spencerian has been sued and supposed to pay back or forgive the CEF loans they will not forgive mine over the balance they say I owe. Nor release my transcripts. And Sullivan us saying I don’t qualify for Loan Forgiveness because my loans were in collections. And I thought that is why my Tax refund was taken, and I went through default rehabilitation, and have had my loans on IBR since all this started. Also, I asked Navient about loan forgiveness and they said they don’t offer anything like that and no one will help me resolve this debt so I can get a degree and care for my 3 kids. Also, where is all the money that they kept and who has my CEF loans? they only said that they were accredited nationally. Which, they said was better because you could work anywhere in the Nation. This is RIDICULOUS. Regional Accreditation is the highest standard, and that misrepresentation alone may qualify you for a BDAR Discharge. The rest of what you wrote is not going to matter one bit to the DOE when evaluating a BDAR application. It sounds like you experienced some terrible customer service, and I’m sorry you had to go through all that, but it won’t matter LEGALLY in determining if you qualify for a discharge. Discharges are for people who were defrauded, so you need to focus your application on that element.